For other uses, see Robert Fulton (disambiguation). 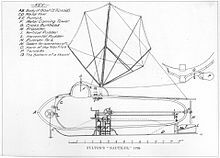 In 1800, Fulton had been commissioned by Napoleon Bonaparte, leader of France, to attempt to design a submarine; he produced the Nautilus, the first practical submarine in history. Fulton is also credited with inventing some of the world's earliest naval torpedoes for use by the British Royal Navy. Fulton became interested in steam engines and the idea of steamboats in 1777 when he was around age 12 and visited state delegate William Henry of Lancaster, Pennsylvania, who was interested in this topic. Henry had learned about inventor James Watt and his Watt steam engine on an earlier visit to England. Robert Fulton was born on a farm in Little Britain, Pennsylvania, on November 14, 1765. He had three sisters – Isabella, Elizabeth, and Mary, and a younger brother, Abraham. For six years, he lived in Philadelphia, where he painted portraits and landscapes, drew houses and machinery, and was able to send money home to help support his mother. In 1785, Fulton bought a farm at Hopewell Township in Washington County near Pittsburgh for £80 (equivalent to $12764 in 2018), and moved his mother and family into it. Fulton's 1806 submarine design for the U.S. government. At the age of 23, Fulton traveled to Europe, where he would live for the next twenty years. He went to England in 1786, carrying several letters of introduction to Americans abroad from prominent individuals he had met in Philadelphia. He had already corresponded with artist Benjamin West; their fathers had been close friends. West took Fulton into his home, where Fulton lived for several years and studied painting. Fulton gained many commissions painting portraits and landscapes, which allowed him to support himself. He continued to experiment with mechanical inventions. Fulton became caught up in the enthusiasm of the "Canal Mania". In 1793 he began developing his ideas for tugboat canals with inclined planes instead of locks. He obtained a patent for this idea in 1794 and also began working on ideas for the steam power of boats. He published a pamphlet about canals and patented a dredging machine and several other inventions. In 1794, he moved to Manchester to gain practical knowledge of English canal engineering. While there he became friendly with Robert Owen, a cotton manufacturer and early socialist. 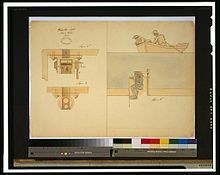 Owen agreed to finance the development and promotion of Fulton's designs for inclined planes and earth-digging machines; he was instrumental in introducing the American to a canal company, which awarded him a sub-contract. But Fulton was not successful at this practical effort and he gave up the contract after a short time. Bust of Robert Fulton by Jean-Antoine Houdon, 1803. As early as 1793, Fulton proposed plans for steam-powered vessels to both the United States and British governments. The first steamships had appeared considerably earlier. The earliest steam-powered ship, in which the engine moved oars, was built by Claude de Jouffroy in France. Called the Palmipède, it was tested on the Doubs in 1776. In 1783, de Jouffroy built the Phyroscaphe, the first paddle steamer, which sailed successfully on the Saône. The first successful trial run of a steamboat in America had been made by inventor John Fitch, on the Delaware River on August 22, 1787. William Symington had successfully tried steamboats in 1788, and it seems probable that Fulton was aware of these developments. In England, Fulton met the Duke of Bridgewater, Francis Egerton, whose canal, the first to be constructed in Britain, was being used for trials of a steam tug. Fulton became very enthusiastic about the canals, and wrote a 1796 treatise on canal construction, suggesting improvements to locks and other features. Working for the Duke of Bridgewater between 1796 and 1799, Fulton had a boat constructed in the Duke's timber yard, under the supervision of Benjamin Powell. After installation of the machinery supplied by the engineers Bateman and Sherratt of Salford, the boat was duly christened Bonaparte in honour of Fulton having served under Napoleon. After expensive trials, because of the configuration of the design, the team feared the paddles might damage the clay lining of the canal and eventually abandoned the experiment. In 1801, Bridgewater instead ordered eight vessels for his canal based on Charlotte Dundas, constructed by Symington. Location and plaque of the Fulton experiment of August 9, 1803. In 1797 Fulton went to Paris, where he was well known as an inventor. He studied French and German, along with mathematics and chemistry. In Paris, Fulton met James Rumsey, an inventor from Virginia with an interest in steamboats, who in 1786 ran his own first steamboat up the Potomac River. Fulton also exhibited the first panorama painting to be shown in Paris, Pierre Prévost's Vue de Paris depuis les Tuileries (1800), on what is still called Rue des Panoramas (Panorama Street) today. While living in France, Fulton designed the first working muscle-powered submarine, Nautilus, between 1793 and 1797. He also experimented with torpedos. When tested, his submarine operated underwater for 17 minutes in 25 feet of water. He asked the government to subsidize its construction, but he was turned down twice. Eventually he approached the Minister of Marine and in 1800 was granted permission to build. The shipyard Perrier in Rouen built it, and the submarine sailed first in July 1800 on the Seine River in the same city. In France, Fulton met Robert R. Livingston, who was appointed as U.S. Ambassador to France in 1801. He also had a scientifically curious mind, and the two men decided to collaborate on building a steamboat and to try operating it on the Seine. Fulton experimented with the water resistance of various hull shapes, made drawings and models, and had a steamboat constructed. At the first trial the boat ran perfectly, but the hull was later rebuilt and strengthened. On August 9, 1803, when this boat was driven up the River Seine, it sank. The boat was 66 feet (20.1 m) long, 8 feet (2.4 m) beam, and made between 3 and 4 miles per hour (4.8 and 6.4 km/h) against the current. In 1804, Fulton switched allegiance and moved to England, where he was commissioned by Prime Minister William Pitt the Younger to build a range of weapons for use by the Royal Navy during Napoleon's invasion scares. Among his inventions were the world's first modern naval "torpedoes" (modern "mines"). These were tested, along with several other of his inventions, during the 1804 Raid on Boulogne, but met with limited success. Although Fulton continued to develop his inventions with the British until 1806, the decisive naval victory by Admiral Horatio Nelson at the 1805 Battle of Trafalgar greatly reduced the risk of French invasion. Fulton was increasingly ignored. In 1806, Fulton returned to the United States. In 1807, he and Robert R. Livingston built the first commercially successful steamboat, North River Steamboat (later known as Clermont). Livingston's shipping company began using it to carry passengers between New York City and up the Hudson River to the state capital Albany. The Clermont made the 150-mile trip in 32 hours. Passengers on the maiden voyage included a lawyer Jones and his family from Bethlehem, Pennsylvania. His infant daughter Alexandra Jones later served as a Union nurse on a steamboat hospital in the Civil War. From 1811 until his death, Fulton was a member of the Erie Canal Commission, appointed by the Governor of New York. Fulton's final design was the floating battery Demologos. This first steam-driven warship in the world was built for the United States Navy for the War of 1812. The heavy vessel was not completed until after Fulton's death and was named for him in his honor. From October 1811 to January 1812, Fulton, along with Livingston and Nicholas Roosevelt (1767-1854), worked together on a joint project to build a new steamboat New Orleans, sturdy enough to take down the Ohio and Mississippi rivers to New Orleans, Louisiana. It traveled from Pittsburgh, Pennsylvania, with stops at Wheeling, Virginia; Cincinnati, Ohio; past the "Falls of the Ohio" at Louisville, Kentucky; to near Cairo, Illinois and the confluence with the Mississippi River; and down past Memphis, Tennessee and Natchez, Mississippi to New Orleans some 90 miles by river from the Gulf of Mexico coast. This was less than a decade after the United States had acquired the Louisiana Territory from France. These rivers were not well settled, mapped or protected. By achieving this first breakthrough voyage and also proving the ability of the steamboat to travel upstream against powerful river currents, Fulton changed the entire trade and transportation outlook for the American heartland. Fulton was elected a member of the American Antiquarian Society in 1814. Fulton died in 1815 in New York City from tuberculosis (then known as "consumption"). He had been walking home on the frozen Hudson River when one of his friends, Addis Emmet, fell through the ice. In the attempt to rescue his friend, Fulton got soaked with icy water. He is believed to have contracted pneumonia. When he got home, his sickness worsened. He was diagnosed with consumption and died at 49 years old. He is buried in the Trinity Church Cemetery for Trinity Church (Episcopal) at Wall Street in New York City, near other notable Americans such as former U.S. Secretaries of the Treasury, Alexander Hamilton and Albert Gallatin. His descendants include Cory Lidle, a former Major League Baseball pitcher. On January 8, 1808, Fulton married Harriet Livingston (1786–1824), the daughter of Walter Livingston and niece of Robert Livingston, prominent men in the Hudson River area, whose family dated to the colonial era. They had four children: Robert, Julia, Mary, and Cornelia. The Commonwealth of Pennsylvania donated a marble statue of Fulton to the National Statuary Hall Collection in the United States Capitol. Fulton was also honored for his development of steamship technology in New York City's Hudson-Fulton Celebration of the Centennial in 1909. A replica of his first steam-powered steam vessel, Clermont, was built for the occasion. Five ships of the United States Navy have borne the name "USS Fulton" in honor of Robert Fulton. Fulton Hall at the United States Merchant Marine Academy houses the Department of Marine Engineering and included laboratories for diesel and steam engineering, refrigeration, marine engineering, thermodynamics, materials testing, machine shop, mechanical engineering, welding, electrical machinery, control systems, electric circuits, engine room simulators and graphics. Bronze statues of Fulton and Christopher Columbus represent commerce on the balustrade of the galleries of the Main Reading Room in the Thomas Jefferson Building of the Library of Congress on Capitol Hill in Washington, D.C. 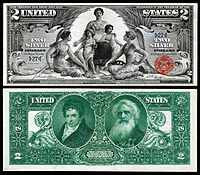 They are two of 16 historical figures, each pair representing one of the 8 pillars of civilization. The Guatemalan government in 1910 erected a bust of Fulton in one of the parks of Guatemala City. In 2006, Fulton was inducted into the "National Inventors Hall of Fame" in Alexandria, Virginia. 20th Century-Fox's 1940 film, Little Old New York, based on a 1920 play by Rida Johnson Young, is a fictionalized version of Fulton's life from his arrival in New York to the first sailing of Claremont. British actor Richard Greene starred as Fulton with Brenda Joyce as Harriet Livingston. Alice Faye and Fred MacMurray played wharf friends who help Fulton overcome problems to realize his dream. A fictionalized account of Fulton's role was produced by BBC television during the 1960s. In the first serial, Triton (1961, re-made in 1968), two British naval officers, Captain Belwether and Lieutenant Lamb, are involved in spying on Fulton while he is working for the French. In the sequel, Pegasus (1969), they are surprised to find themselves working with Fulton, played by Robert Cawdron. In the 1961 version, Fulton was played by Reed De Rouen. A Robert Fulton cartoon character appears in Casper the Friendly Ghost short film titled "Red, White, and Boo." Invasion, ISBN 9780340961155, the tenth novel in the "Kydd" naval warfare series by Julian Stockwin, uses Fulton and his submarine as an important plot element. Until 2016, Disney Springs at Walt Disney World had a restaurant named Fulton's Crab House with a building in the shape of a steamboat. The marble statue by Howard Roberts in Statuary Hall of the United States Capitol, 1878-83. Hudson-Fulton Celebration commemorative stamp, 1909 issue. 200th Anniversary commemorative stamp, 1965 issue, based on the Houdon bust. Torpedo war, and submarine explosions published 1810. A Treatise on the Improvement of Canal Navigation, 1796. From the University of Georgia Libraries in DjVu & layered PDF formats. A Treatise on the Improvement of Canal Navigation 1796. From Rare Book Room. ^ a b Best, Nicholas (2005). Trafalgar: The Untold Story of the Greatest Sea Battle in History. London: Phoenix. ISBN 0-7538-2095-1. ^ a b Buckman, David Lear (1907). Old Steamboat Days on The Hudson River. The Grafton Press. Archived from the original on August 26, 2010. ^ Boyes, Graham. The Peak Forest Canal. ISBN 9780901461599. ^ Sutcliffe, Alice Crary. Robert Fulton and the 'Clermont', p. 63. ^ Burgess, Robert Forrest (1975). Ships Beneath the Sea. McGraw-Hill. ISBN 978-0-07-008958-7. ^ "MemberListF". American Antiquarian Society. ^ "Lidle dies after plane crashes into NYC high-rise". ESPN.com. ^ Reynolds, Cuyler (1911). Hudson-Mohawk Genealogical and Family Memoirs: A Record of Achievements of the People of the Hudson and Mohawk Valleys in New York State, Included Within the Present Counties of Albany, Rensselaer, Washington, Saratoga, Montgomery, Fulton, Schenectady, Columbia and Greene. Lewis Historical Publishing Company. pp. 302–303. ^ a b Historical Papers and Addresses of the Lancaster County Historical Society. 1909. pp. 227–228. ^ "Fleet of Fifty Warships Built in the Brooklyn Navy Yard". The Brooklyn Daily Eagle (Brooklyn, New York). 12 May 1910. p. 22. Retrieved 16 August 2018. ^ Garrett, Franklin (1969). Atlanta and Environs: A Chronicle of Its People and Events, 1820s-1870s. Athens, GA: University of Georgia Press. p. 362. ISBN 0-8203-0263-5. ^ Eaton, David Wolfe (1916). How Missouri Counties, Towns and Streams Were Named. The State Historical Society of Missouri. p. 267. ^ "The School District of Lancaster". ^ "Triton: Part 2". BBC Genome. Retrieved 8 December 2018. ^ Arnold, Kyle. "Fulton's Crab House at Disney Springs changing to Paddlefish". OrlandoSentinel.com. Retrieved 2018-01-31. ^ Delgado, Lauren. "First Look: Paddlefish in Disney Springs". OrlandoSentinel.com. Retrieved 2018-01-31. This article contains content first published in 1909 as Old Steamboat Days on The Hudson River. Wikimedia Commons has media related to Robert Fulton. Wikisource has the text of the 1911 Encyclopædia Britannica article Fulton, Robert . Chisholm, Hugh, ed. (1911). "Fulton, Robert" . Encyclopædia Britannica (11th ed.). Cambridge University Press. Phair, Montgomery. "Robert Fulton and the Secret War of 1812". Casebook: The War of 1812. Archived from the original on October 2, 2006. CHAPTER XIII: ROBERT FULTON in Great Fortunes, and How They Were Made (1871), by James D. McCabe, Jr., Illustrated by G. F. and E. B. Bensell, a Project Gutenberg eBook. Harvey, W.S. ; Downs-Rose, G. (1980). "William Symington". Archived from the original on February 16, 2002. Buckman, David Lear (1907). Old Steamboat Days on The Hudson River. The Grafton Press. Archived from the original on August 26, 2010. Thurston, Robert H. "Chapter V: The Modern Steam Engine". A history of the growth of the steam-engine. Archived from the original. Booknotes interview with Kirkpatrick Sale on The Fire of His Genius: Robert Fulton and the American Dream, November 25, 2001.